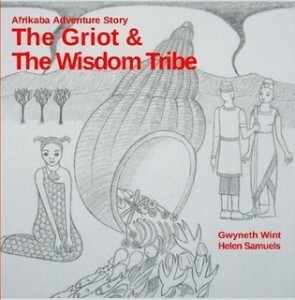 This book is the legacy of a sunny day in the UK during Afrikaba 2014 when children and families were invited to take part in a storytelling walk. The oral story was delivered by Mary Dawson and the talented dancer, Shardarae Kasumu, on Sunday 5 October 2014. The walk started in the Bohemia Walled Garden, meandered through Summerfields woods, to finish in a clearing close to the historic Hastings Museum in East Sussex. Oral storytelling is an important tradition in most, if not all, indigenous cultures and has been an important feature of the AfriKàBa Festival since inception. Printed in black and white so you can colour it in!